So not so much the wordless Wednesday today. It is only 930 in the morning and I have enough words to fill a blog. There is a construction team here from Wadsworth, Ohio who go to Northside Christian Church. They got up early to get a start on the construction work and I was heading out to meet them in Peredo after I dropped Odessa off at school at 8am. They started the truck I drive to make sure it would start today and then left. The truck started with no problems. When Alex, the houseboy, showed up for work at 730 his eyes were huge and he started telling me how he had a dream last night that I was in a bad accident in the truck. I shrugged it off and told him that sometimes dreams mean nothing, blah, blah blah but he insisted I didn't go out to Peredo today. I knew I had to go because we have a group here and Wednesdays is the day for the Nutrition class for mothers. I prepared everything for it yesterday and was looking forward to it today. I got in the truck and it wouldn't start. Usually it is hard to start in the morning but after it starts once then it is fine for the rest of the day. It would NOT start. Alex and the neighbor tried to get it started too without success. I walked Odessa up to school and then got on a motorcycle taxi to head to work. About 10 minutes down the road I saw black smoke rolling into the air and as we got closer saw 2 old school buses in the road with fire rolling out of them. These buses have been broken down on the side of the road since I have been coming to Haiti in 2008-so no one was inside them. There were hundreds of people on the road with police and UN police surrounding the scene. The Haitians did not seem to care that the police were there as they continued pulling stuff out into the road and setting it on fire. Tires, trees, trash. They were breaking bottles of glass in the streets. I saw all this in the 3 or 4 minutes we sat there looking for a detour route around. I was told that Sunday night a Haitian police officer shot a Haitian man in the head and this is why people were demonstrating. I told that informant that this was not a demonstration-it was a demolition. They also said that Monday night the mayor of Jacmel's Hummer was set on fire. Not sure if it was related to this incident or if something else happened. The road was totally impassable and the moto driver was willing to try and find another route. I thought about Alex telling me about his dream and then the truck not starting and now I was literally facing a total road block. I could help but wonder if God was literally telling me not to go to work today. Sometimes I think we are confused by signs or interpreting what the Lord wants us to do. I just really wanted and needed to get to work today. But after 3 major "signs" I decided to go back home. So now I am sitting here doing computer work when I would really like to be working in Peredo. 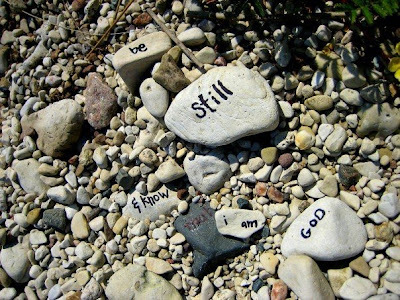 But God has made His plan clear today-so here I am writing this blog and "being still." God says, "Be still and know that I am God. I will be praised in all the nations; I will be praised throughout the earth." Oh wow. We serve a great God, don't we. Thank God for his protection. Ginny, thank you for the sweet card you sent me....you didn't have to do that but I sure enjoyed and appreciate it. Invest Hope is using microloans, business training, school match savings program and Children's Program to break the cycle of poverty in Haiti. 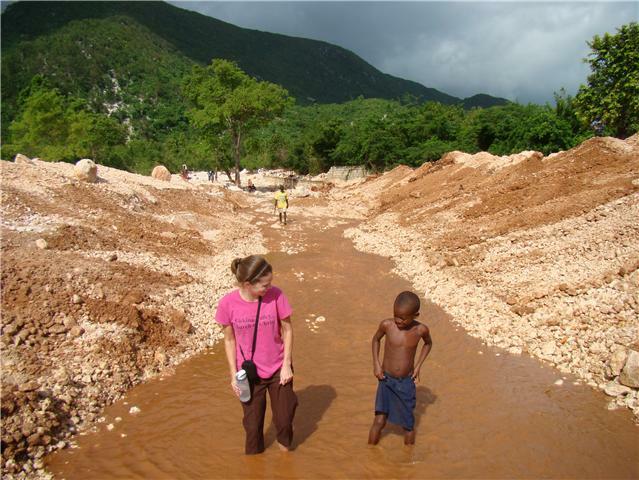 This blog consists of mission updates, cultural lessons and Ginny's experiences living in Haiti.